Stronger. More Stable. More Effective. 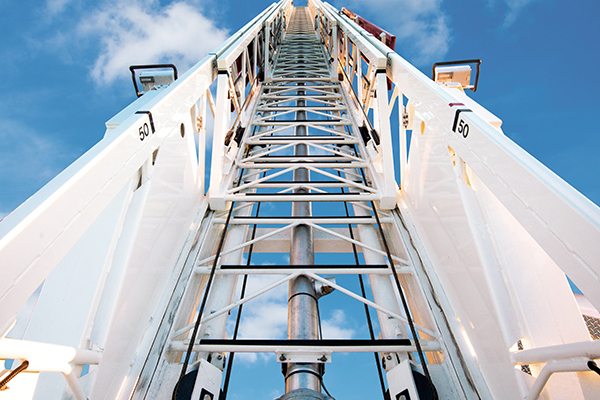 The Pierce aerial ladder can be counted on in the riskiest of situations, like flowing water in resilient winds, on uneven terrain and in the middle of dense ice storms. Pierce ladders are built tough. You won’t be let down, no matter what circumstance you find yourself in. Our egress is easy to replace. If it’s ever damaged on a call, you simply replace it with a new one, rather than replacing the entire fly section. Climb with confidence. We’ve routed all wires inside the sealed base rails. No matter where the ladder is positioned, you have easy access onto & off the turntable.